11 September 2015: On Ethiopian New Year’s Eve, Aster Aweke, one of Ethiopia’s greatest music icon, and UNICEF National Ambassador to Ethiopia, delivered a strong message on girls’ and women empowerment to thousands of fans gathered at her concert in Ghion Hotel, Addis Ababa. 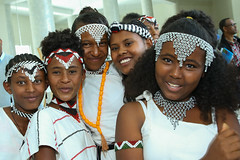 Her messages on girls’ empowerment comes at a right time when the Government of Ethiopia took a heroic step by making a ground-breaking commitment to end Harmful Traditional Practices (HTPs) including child, early and forced marriage and Female Genital Mutilation and Cutting (FGM/C) in the country by 2025. 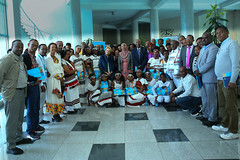 To this end, UNICEF and its partners are supporting the Government to improve the quality of lives of Ethiopian girls and women and, ultimately, to accelerate progress for the country at large. In addition, this feeds into the proposed Sustainable Development Goal (SDG) 5 on achieving gender equality and empowering all women and girls, as part of the Post-2015 development agenda. 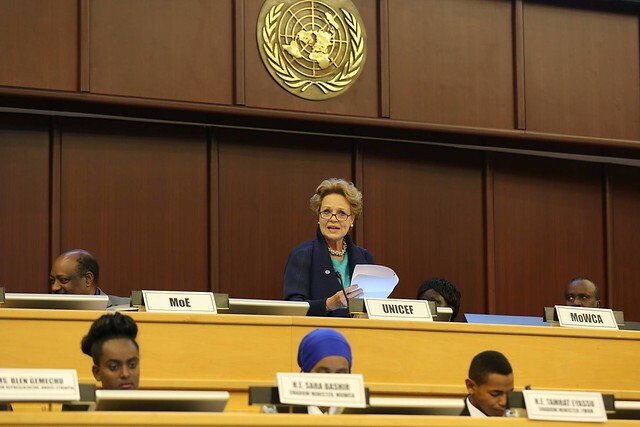 Since her appointment as a national ambassador in 2010, Aster has supported different UNICEF activities and campaigns that benefit the women and children of Ethiopia by participating in high-level meetings and campaigns. SOMALI REGION, 24 January 2014 – “Dreams won’t cost you a thing, so dream,’’ cheerfully exclaimed Ubah Jemal, as she concluded delivering one of her weekly pep talks to the Girls Club members from all the primary schools in Jigjiga town, the capital of the Somali region. 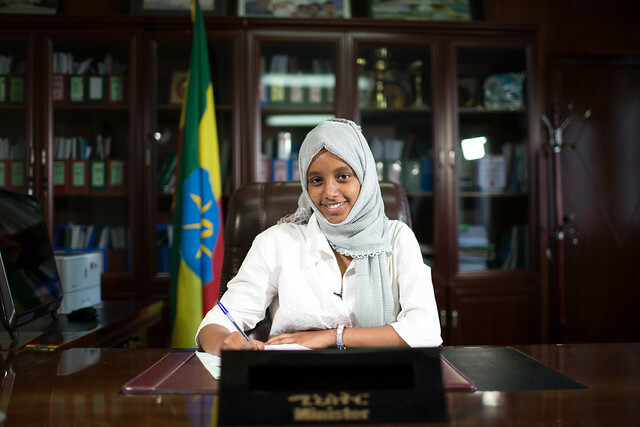 A 12th grader at the Jigjiga Senior Secondary and Preparatory School, 15 years old Ubah is well known among female primary and high school students in Jigjiga for her inspirational speeches and her ability to organise and lead. Even at her childhood, she was made to skip third and fourth grade because of her intelligence. Spotted first by the Regional government officials while presenting a speech as a representative of her School Parliament, Ubah was often invited to attend meetings that were organised by the Regional Bureau of Women, Children and Youth Affairs (BOWCYA). 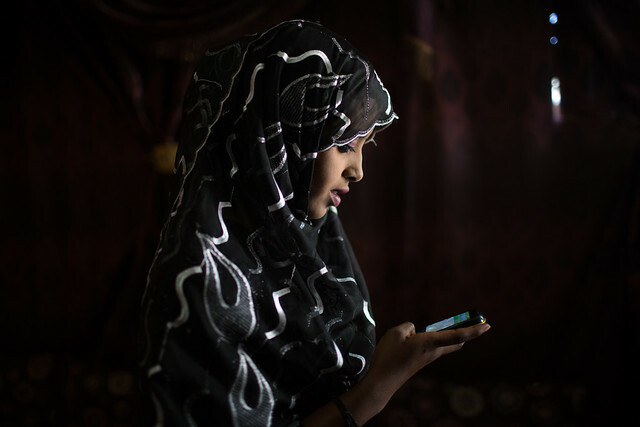 Then three years ago, upon the formation of the Somali Region Children’s Parliament, she was elected as vice president, acquiring a role that enabled her to spread her wings beyond her own high school. 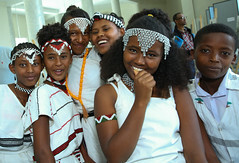 As part of the global initiative to promote the rights and roles of children in the society, children parliaments are formed in each of the nine regional states and the two city administrations in Ethiopia. Picked from various schools across the nation, Ubah and her fellow appointees serve as mouthpieces of all under 18 children throughout the country. Right after she assumed her position as vice-president, she was given the role to head the Girls Club in her school that was established that same year, when she was at the 9th grade. The club absorbed other existing clubs like the anti FGM (Female genital mutilation) to address more issues of girls in the region, including FGM. “We wanted it to be a safe place where we can talk freely about all our issues as girls and learn from each other,’’ says Ubah. Besides offering the opportunity of growth through continued discussions, Ubah and her group mates opted for practical ways to help girls, after she had an eye-opening encounter with a classmate. “A girl who was sitting next to me was very stressed because her period suddenly came and she couldn’t leave the room fearing that the teacher and the students will see her cloth,’’ she recalls, ‘’and she was also very hesitant to tell me because apparently, it is a taboo to talk about such things.’’ She adds that an idea came to her right there to create a space in school where girls can access the proper sanitation materials, clean and freshen up, and even take painkiller pills and nap if they feel sick. Consequently, the Girls Club called a meeting of all female students in the school to raise money, and eventually made this idea a reality. “Once they saw that we made it possible, BOWCYA started supporting us and now UNICEF provides the sanitation supplies regularly,’’ says Ubah. She believes that the availability of the girls’ room has contributed to an increase in attendance of girl students, since some girls have the tendency of not showing up to school, sometimes for a whole week, during their menstruation period due to their inability to afford sanitation pads or painful cramps. According to a study conducted by Water Aid, 51 per cent of girls in Ethiopia miss up to four school days every month and 39 per cent show reduced performance, when they are on their periods. The severe cramps are especially common among girls who went through Pharaonic circumcision. 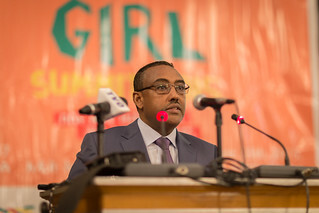 Dubbed as the most severe form of FGM, Pharaonic circumcision–which refers to the removal of all external genitalia and then the sewing of the remaining parts of outer lips, only leaving a small whole for urine and menstrual flow–-was highly prevalent in the Somali region until its decrease in the last five years through the organised efforts of the local community, religious leaders and the government. 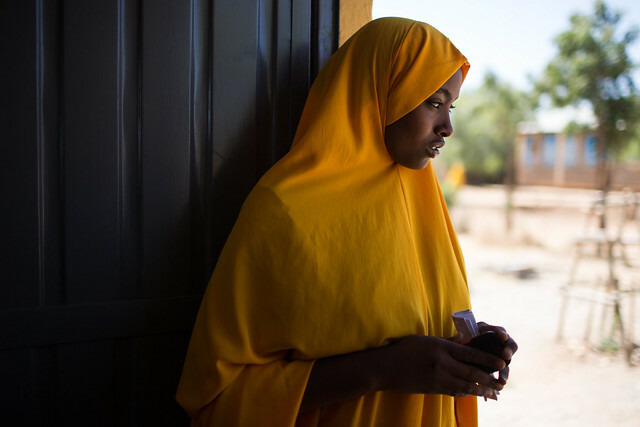 After making sure that the same model of Girls’ Club is duplicated in the only other high school in Jigjiga town, Ubah spearheaded the formation of Girl Clubs in elementary schools. “I thought it would be beneficial if younger girls also got the chance to organise so I approached the BoWCYA head who regarded it as a great idea,’’ she recounts. In less than a week, Ubah met with the principals of all the four primary schools in Jigjiga town and established four Girl Clubs, each with 30 members. She now meets with them on weekly basis where they get to report and plan their activities, while receiving constant encouragement from her. H.E. 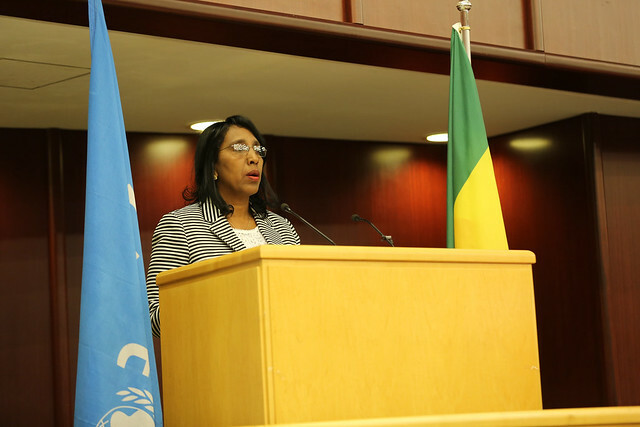 Minister Zenebu on her part said that the Ministry of Women Children and Youth Affairs will continue to work closely and jointly with its sector Ministries and partners to support all the efforts on the ground including community conversations and also reinforcing the laws associated with harmful traditional practices. The Ministry of Women, Children and Youth Affairs establishes a national HTP Platform in order to realise the multi-sectoral mechanisms and to ensure effective coordination and collaboration between and among different development partners involved in the fight against HTPs. This National Implementation and Monitoring Platform is established from representatives drawn from relevant stakeholders (Government line ministries, multilateral and bilateral donors, CSOs, women and youth associations and national federations, faith based organisations, and national associations) working towards the prevention and elimination of HTPs. 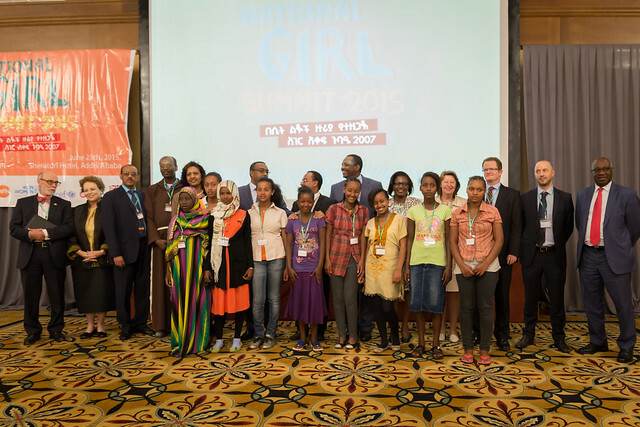 NEW YORK/ADDIS ABABA, 16 June 2015 – Child marriage remains a brutal reality for millions of girls across Africa, denying them the right to live healthy and fulfilling lives.